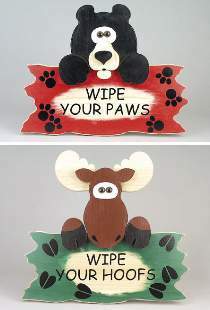 A good natured way to remind people to wipe their feet! Projects are easy to cut from "1x8" stock. This plan includes FULL SIZE patterns for both the Bear project and the Moose project. Projects measure 16"W x 12"H. Order decals and eyes separately below.